The final version of the 2015 federal Dietary Guidelines for Americans (DGA) affirms the vital, unrivaled contribution made by dairy foods, and reminds Americans that they will continue to benefit from three daily servings of low-fat and fat-free dairy. 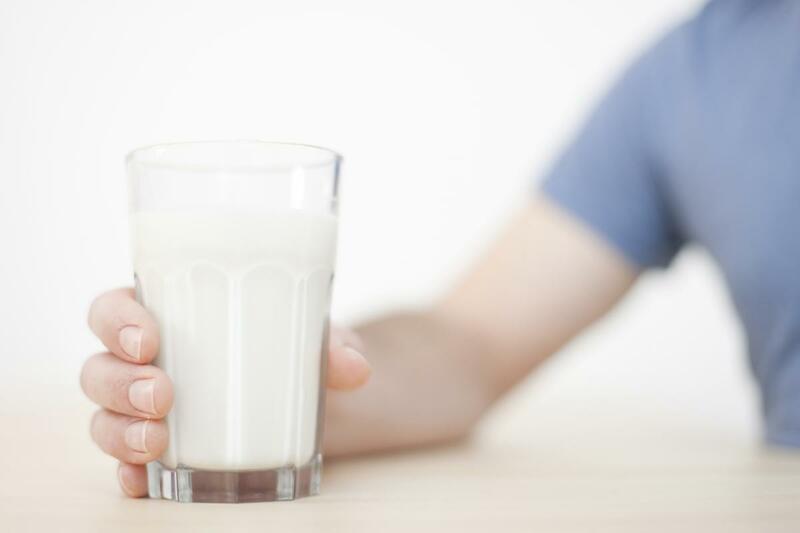 In fact, the DGA notes that current intakes of dairy foods for most Americans “are far below recommendations of the Healthy U.S.-Style Pattern,” and they call for a shift to consume more dairy products. Milk, cheese and yogurt are important answers to the question of how Americans should change their diets for the better. While people eat foods, not nutrients, the nutrients in food do matter. Low-fat or fat-free dairy foods are fundamental to all of the patterns recommended by the DGA: Healthy US-style Pattern, Healthy Vegetarian-Style Pattern and Healthy Mediterranean-style Pattern. That’s because low-fat and fat-free dairy foods offer a unique set of nine essential nutrients, including calcium, vitamin D and potassium, which most people do not get enough of in their diets. The good news for people across the country is that dairy foods taste great, are accessible almost anywhere, contain essential nutrients and come in a variety of options from lactose-free to low-fat, fat-free or lower sodium — all at a reasonable cost. In fact, you can get three servings of milk for less than $1 a day (with each serving at about 25 cents). And with 8 grams of protein in every 8 ounces, milk is a natural source of high-quality protein, meaning it provides the full mix of essential amino acids our body needs.The dairy community is committed to doing its part to ensure healthy products are available to enhance the health of people and communities, now and for future generations. For 100 years, National Dairy Council (NDC), the non-profit organization funded by the national dairy checkoff program, is committed to nutrition education and research-based communications. NDC provides science-based nutrition information to, and in collaboration with, a variety of stakeholders committed to fostering a healthier nation, including health professionals, educators, school nutrition directors, academia, industry, consumers and media. Established in 1915, NDC comprises a staff of registered dietitians and nutrition research and communications experts across the country. NDC is dedicated to promoting child health and wellness through programs such as Fuel Up to Play 60. Developed by NDC and the National Football League (NFL), Fuel Up to Play 60 encourages youth to consume nutrient-rich foods and achieve at least 60 minutes of physical activity every day. See more at: www.nationaldairycouncil.org. The National Milk Producers Federation (NMPF), based in Arlington, VA, develops and carries out policies that advance the well-being of dairy producers and the cooperatives they own. The members of NMPF’s 31 cooperatives produce the majority of the U.S. milk supply, making NMPF the voice of more than 40,000 dairy producers on Capitol Hill and with government agencies. Visit www.nmpf.org for more information. The International Dairy Foods Association (IDFA), Washington, D.C., represents the nation’s dairy manufacturing and marketing industries and their suppliers, with a membership of more than 550 companies representing a $125-billion a year industry. IDFA is composed of three constituent organizations: the Milk Industry Foundation (MIF), the National Cheese Institute (NCI) and the International Ice Cream Association (IICA). IDFA’s nearly 200 dairy processing members run nearly 600 plant operations, and range from large multi-national organizations to single-plant companies. Together they represent more than 85 percent of the milk, cultured products, cheese, ice cream and frozen desserts produced and marketed in the United States. For more information visit www.idfa.org. The Milk Processor Education Program (MilkPEP), Washington, D.C., is funded by the nation’s milk companies, who are committed to increasing fluid milk consumption. The MilkPEP Board runs the Milk Life campaign, a multi-faceted campaign designed to educate consumers about the powerful nutritional benefits of milk – with 9 essential nutrients, including high-quality protein, in each 8 ounce glass. For more information go to milklife.com.